Norfolk, Virginia (Sept 9, 2018) The landing platform dock Arlington steams into Norfolk on Sept. 9 to pick up supplies. 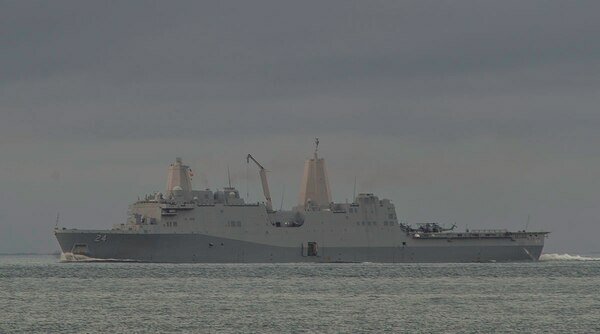 (photo by Mark D. Faram/Navy Times). Air Force Gen. Terrence O’Shaughnessy, commander of North American Aerospace Defense Command and U.S. Northern Command, said that “we have quite literally surrounded the expected affected area with the DoD capability that will be critical in hours and days following the storms impact." To speed response to the storm, Defense Secretary Jim Mattis took the step of activating dual-status commanders in South Carolina, North Carolina and Virginia to be able command active duty and Guard forces, and “pre-authorized [movement of troops] so there would be no delay in responding to requests when we receive [them],” said assistant secretary of defense for homeland defense Kenneth Rapuano. The same pre-authorizations were approved for hurricanes Harvey and Maria, Pentagon spokesman Army Lt. Col. Jamie Davis. Several thousand additional forces are on “prepare to deploy” orders in case the first 7,000 need to be augmented, O’Shaughnessy said. 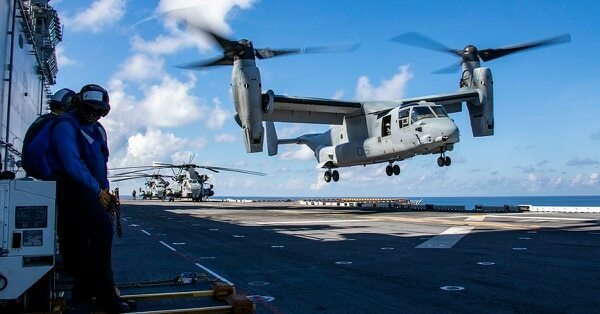 The Kearsarge and Arlington “literally chase Florence in,” O’Shaughnessy said, and will begin search-and-rescue operations with 16 helicopters and six MV-22 Ospreys. Those operations won’t begin, however, until the majority of the storm subsides to create flyable conditions, so people who elected to stay behind in their homes could be waiting hours or possibly even days, depending on how long Florence’s winds linger. 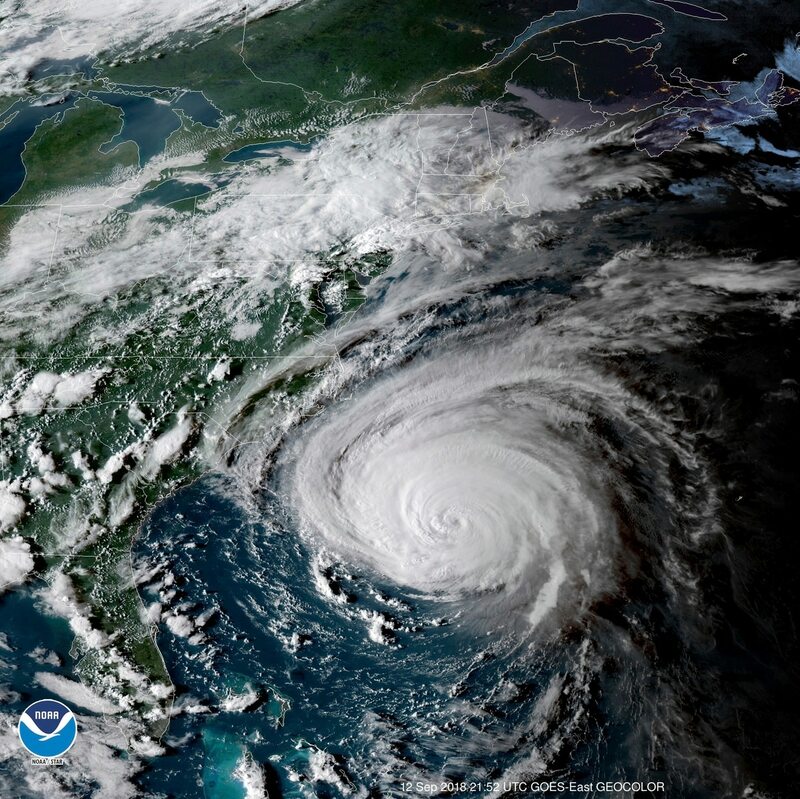 “Because of the slow-moving nature of the storm it could very well stay with high winds, inclement weather for a long period of time, which could mean that any rescue effort is going to take time," O’Shaughnessy said. Here's what the military is doing now to prepare for the "extremely dangerous" storm. 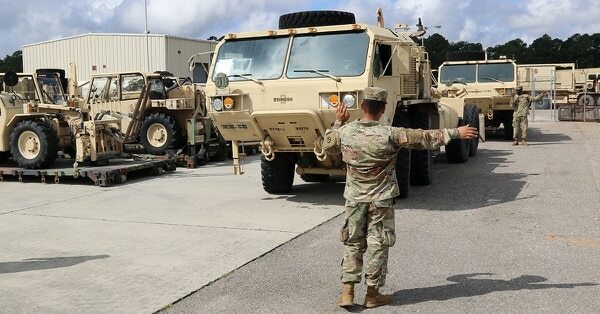 Fort Stewart, Georgia, and Fort Campbell, Kentucky, have companies of light medium tactical vehicles staged, with a total of 240 high-water vehicles ready to begin rescues. Fort Bragg has an additional 40 high-water vehicles it will provide. Tyndall Air Force Base will provide airborne command and control through JSTARS E-8 surveillance planes. A 3rd Expeditionary Sustainment Command soldier lines up vehicle on Sept. 12, 2018, in preparation for Hurricane Florence at Fort Bragg, N.C.
At the local level, the Coast Guard reiterated that forces will have to wait until the storm subsides to begin rescues. “We will be prioritizing operations immediately following the storm," said Coast Guard Capt. Bion Stewart, commander commander of Coast Guard Sector North Carolina. That means rescuing people trapped by rising floodwaters, inspecting and clearing ports so that relief supplies can rush in and remediating environmental problems such as chemical spills in the wake of the hurricane. Citing strong storm surges and deadly rip currents, Stewart cautioned mariners to stay off the water until long after the hurricane moves inland. 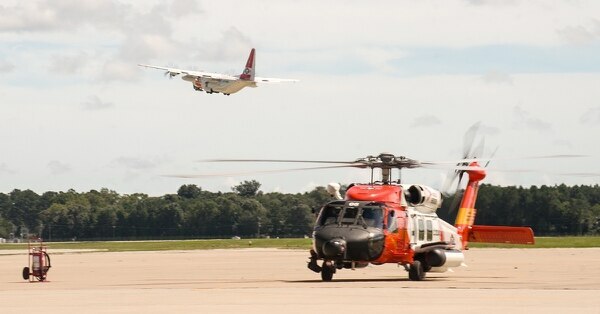 Throughout Thursday, Coast Guard crews continued to stage shallow water urban search and rescue boats, helicopters and other key pieces of equipment near the ports of Augusta and Savannah in Georgia and Charleston, South Carolina, areas deemed just out of reach of the hurricane. After pilots flew their HC-130 planes out of Station Elizabeth Station in North Carolina to avoid potential destruction, Coast Guard crews packed their hangars with boats to wait out the storm and resume rescue operations as soon as the winds and flooding receded. Carl Prine contributed to this report.